"Social Services Volunteers sponsor an incredibly heartwarming party for youth in foster care." 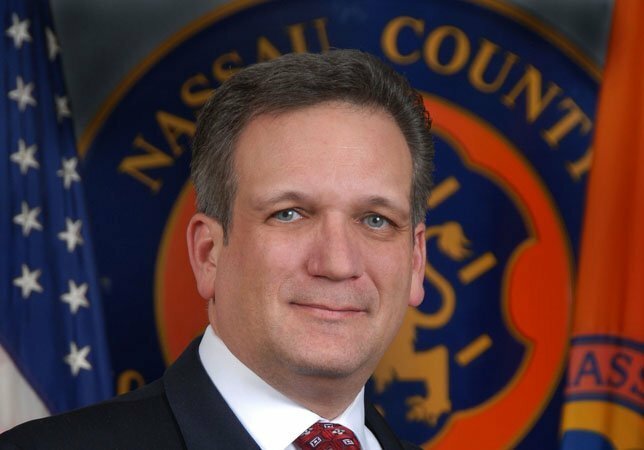 Nassau County Executive Edward P. Mangano. Hempstead, NY - December 26, 2017 - Nassau County Executive Edward P. Mangano today announced that the 40th Annual Holiday Party for Children in Foster Care along with volunteers from the Nassau County Department of Social Services (DSS) will take place on Wednesday, December 27th from noon to 3:00 p.m. at the Marriott Hotel, located at 101 James Doolittle Boulevard in Uniondale. Every child in foster care will receive a gift from Santa. In addition to a disc jockey, the children are invited to participate in a talent show along with many other activities sponsored by our community partners. Nassau County Girl Scout Troops will be setting up craft tables along with dozens of volunteers from junior and senior high schools. Children will be able to make beaded bracelets and necklaces, and have their faces painted. Several teenage groups have also helped the DSS volunteers in organizing the over 400 donated gifts for the party, making sure they are ready to be given out on December 27th. DSS staff, community and faith based groups have generously contributed to this heartwarming event by donating more than 75 gift cards which will be given to the older youth who attend. For those senior high students in the foster care program, there are a number of scholarships which will be given to college bound teenagers to cover some of their school expenses. New to the Holiday Party is the Uniondale High School Show Choir. For the second year, NYC Photo Booth from Oceanside is providing a photo booth with props where children can pose for photos and take home snap shots as a souvenir. For further information about volunteering at the Department of Social Services, please contact the DSS Volunteer Coordinator, Lynne Campbell at (516) 227-7415. DSS recruits foster and adoptive parents throughout the year. For information about becoming a foster or adoptive parent, please call the Recruitment Specialist Sandra Benitez at (516) 227-7613. Subject: LongIsland.com - Your Name sent you Article details of "Mangano: Social Services Volunteers To Deliver Holiday Joy To Children in Foster Care"